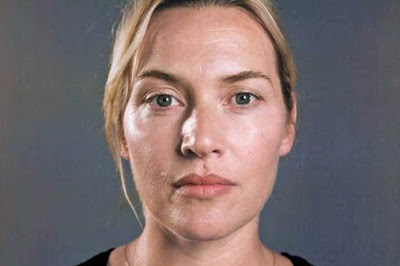 HOLLYWOOD actress Kate Winslet has starred in more than 30 films, dozens of television shows, and walks a red carpet so often she practically gets a tan from paparazzi flashes. Last week though she became “internet famous” (which, as everybody knows, is the most important kind of fame) when she posted a photograph of herself not wearing any make-up on Facebook. “I know I am chubby, I have big feet, and have bad hair days. I know I have wrinkles on my skin but today I want you to see beyond that. I want to embrace the real me,” she wrote underneath. Only problem was it wasn’t the real Winslet who posted it, but another account calling itself “Kate Winslet”, the chief pursuit of which appears to be posting pictures of the actress interspersed with musings on Islam and advertisements for a dog toy website. The page later changed its name to “Kate Winslet Fans” to clear up the confusion, but not before more than 50,000 people signed up to like it (enjoy all those ads for dog toys, guys!) and about the same number had shared its wrinkle-free post all over Facebook. Technically speaking the photo wasn’t real, either. Far from a mobile phone happy snap, it was actually from a 2014 shoot for Vanity Fair by photographer Chuck Close, which along with Winslet included Brad Pitt, Robert De Niro, George Clooney, Julia Roberts and Scarlett Johansson. Billed as “Hollywood celebrities as you’ve never seen them before”, the photos were famously done without professional make-up artists or hairdressers. What they did have, though, is lighting, styling and the not inconsiderable photographic skills of Close and his assistants. And as subjects were told to show up “as is”, it’s not inconceivable that some would have worn light make-up; mascara and eye shadow is actually clearly visible in some of the photos. So Winslet’s “no make-up selfie” wasn’t actually selfie, wasn’t posted by Winslet, and probably involved some make-up. But none of that is really the point. The point is that, thanks to those who feel compelled to report every time a celebrity poses without eyeliner on, the “no make-up selfie” has become the insidious new face of “real beauty”. These photos promote the idea that make-up is somehow bad or unethical, a mask that hides the “real you”, and that only by removing it can you show your true beauty — as long as you still look flawless enough to post it on social media so all your friends can like it. Far from empowering women to “accept their flaws”, no make-up selfies are just another advertisement for unattainable beauty and, by proxy, for whatever the beauty industry wants us to slather on our faces this month. That’s because a large part of being a female celebrity is being naturally beautiful; it’s typically a prerequisite for the job. Learning that two-time sexiest woman alive winner Scarlett Johansson still feels pretty without foundation on does not make me feel any more empowered. What it does do is make me worry about how terrible I look by comparison, and wonder if I should rush to the store to buy better moisturiser. In theory the celebrity no make-up selfie is supposed to say, “I’m just like you, I’m real”. But it’s funny how they’re not quite so empowered when they’re snapped by paparazzi without make-up leaving the gym or chugging a Starbucks iced latte on the street. You won’t see celebs tweeting out those photos with smug “#blessed” hashtags. Don’t kid yourself: the make-up free selfie trend is a barefaced lie. First published in The Advertiser, September 3, 2015. Click here to see the original article.